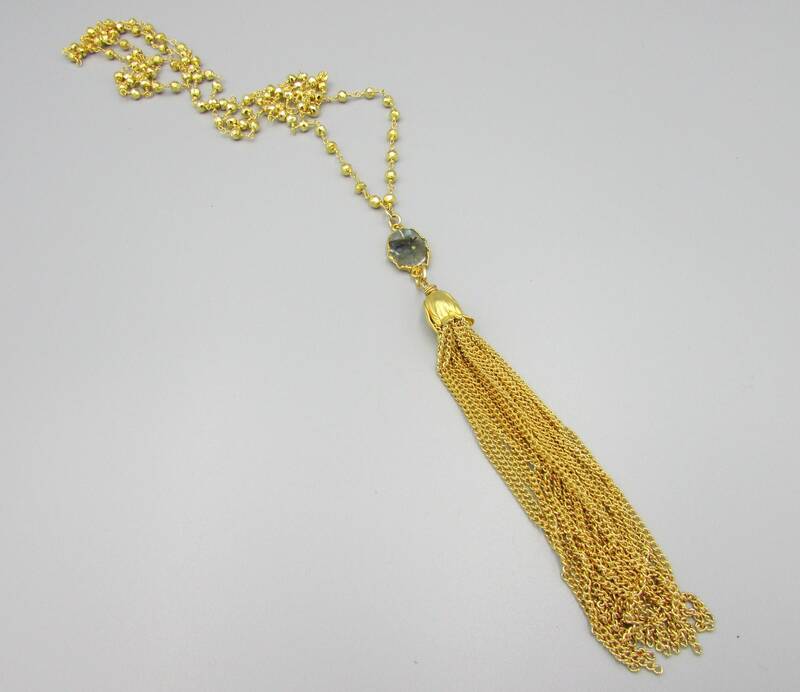 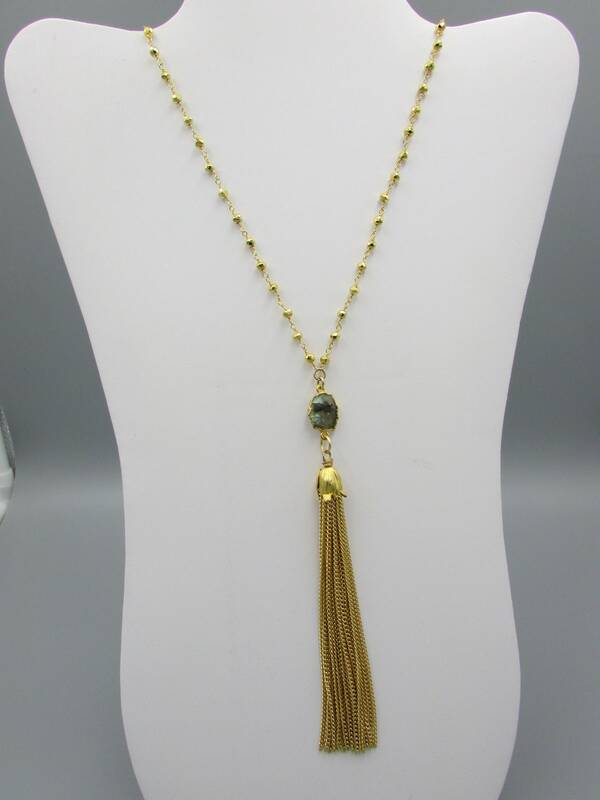 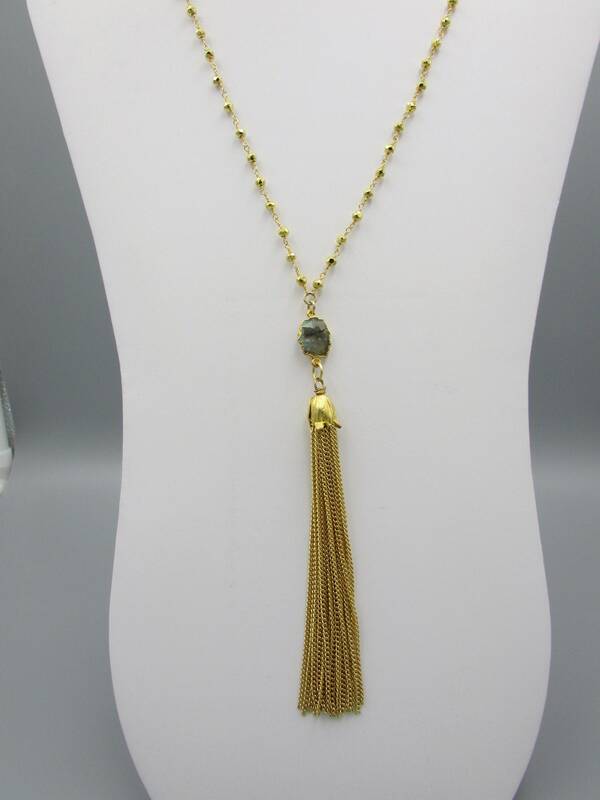 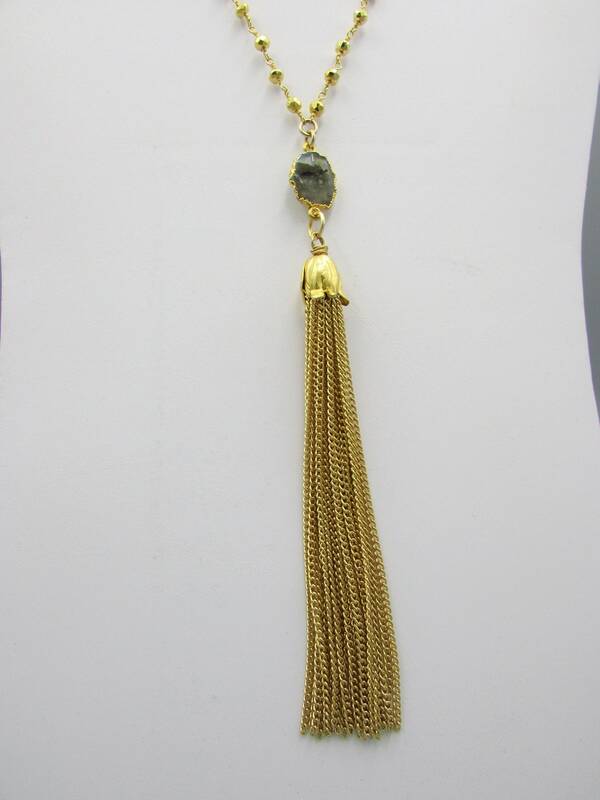 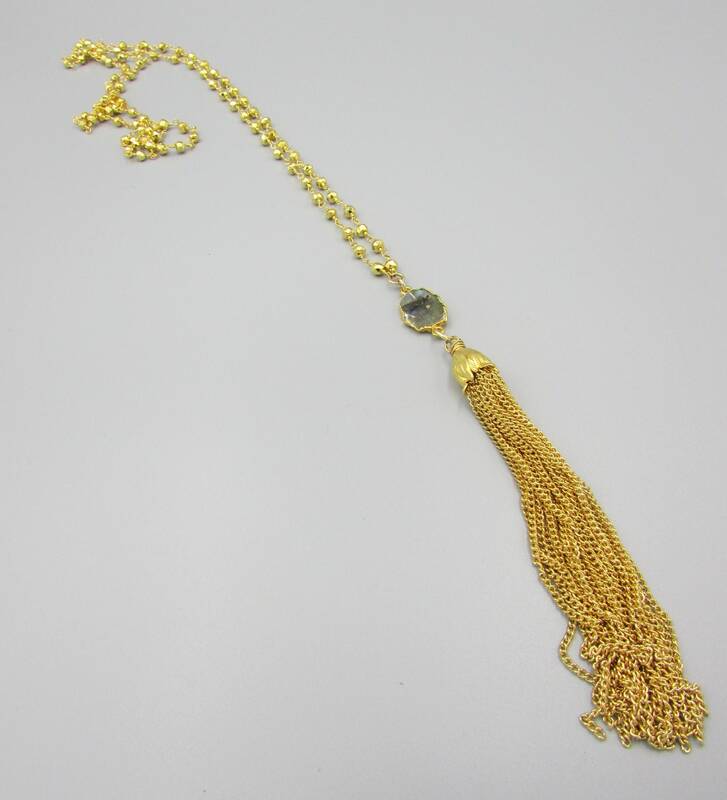 A stunning extra long gold pyrite beaded chain with labradorite connector and long gold chain tassel. 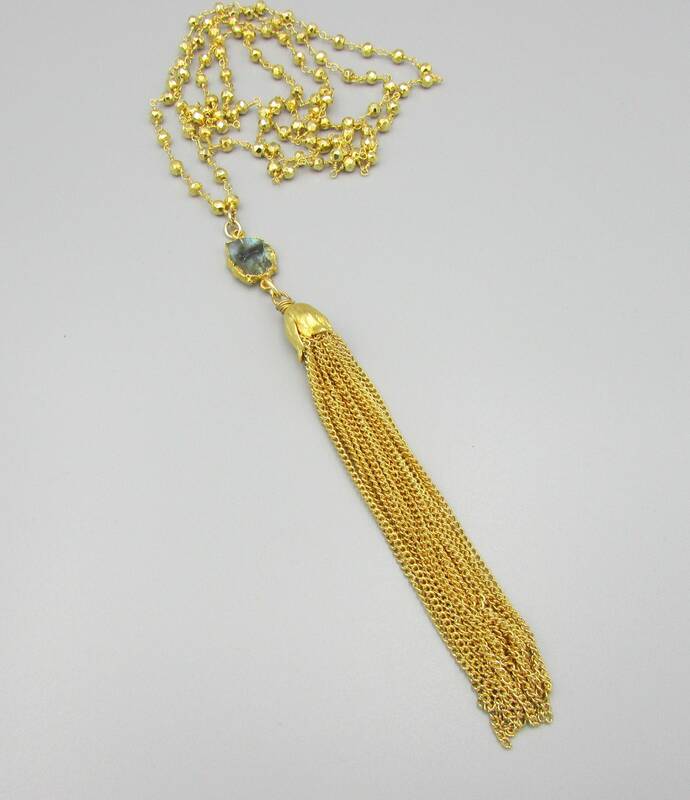 The length is 36 inches long with the tassel and connector adding another 5 1/2 inches. Perfect for wearing several necklaces at once of by itself.